This super educational and fun Alphabites A to Z wooden puzzle from Begin Again will present new food, letters, alphabet, first words, and yummy play food to the preschool foodies. 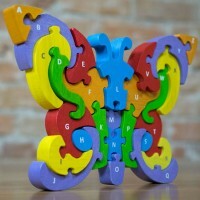 It's a wooden puzzle! 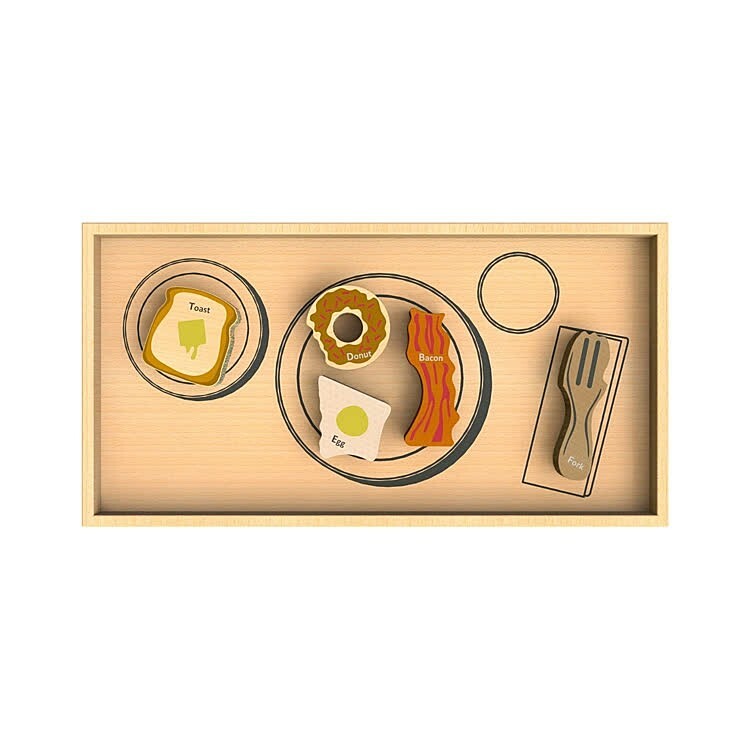 It's a toy food set! 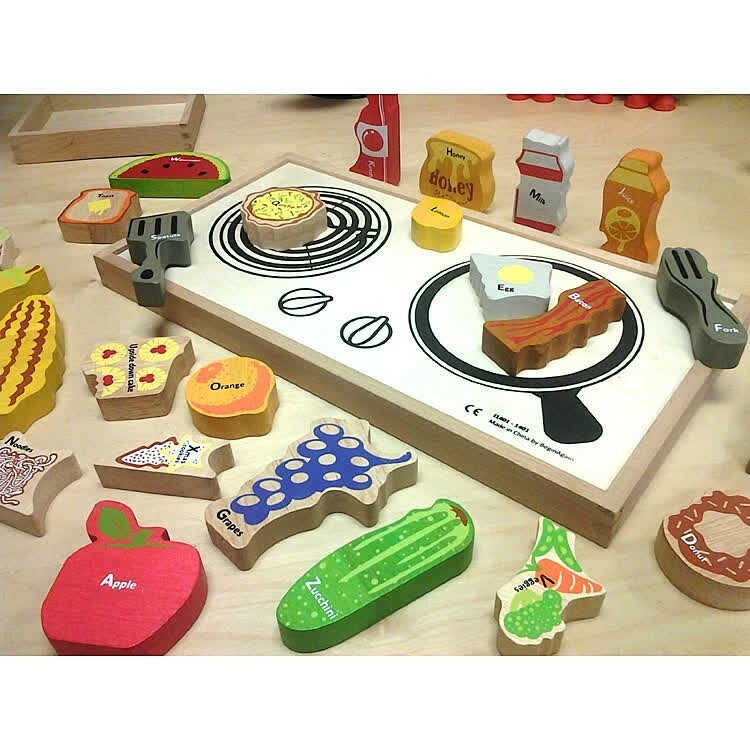 It's a play kitchen! 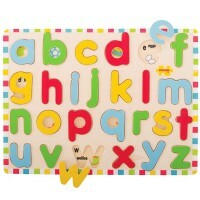 It's an alphabet learning toy! 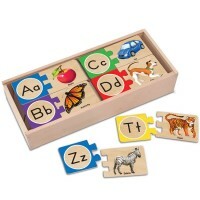 The Alphabites A to Z Wooden Puzzle & Food Play Set by the innovative green toy company Begin Again is delicious in its educational play value! 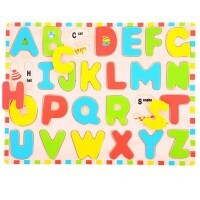 From A-apple to Z-zucchini your child will learn letters, first words, food names, and more! 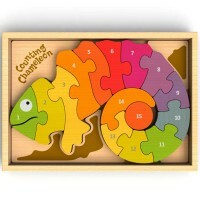 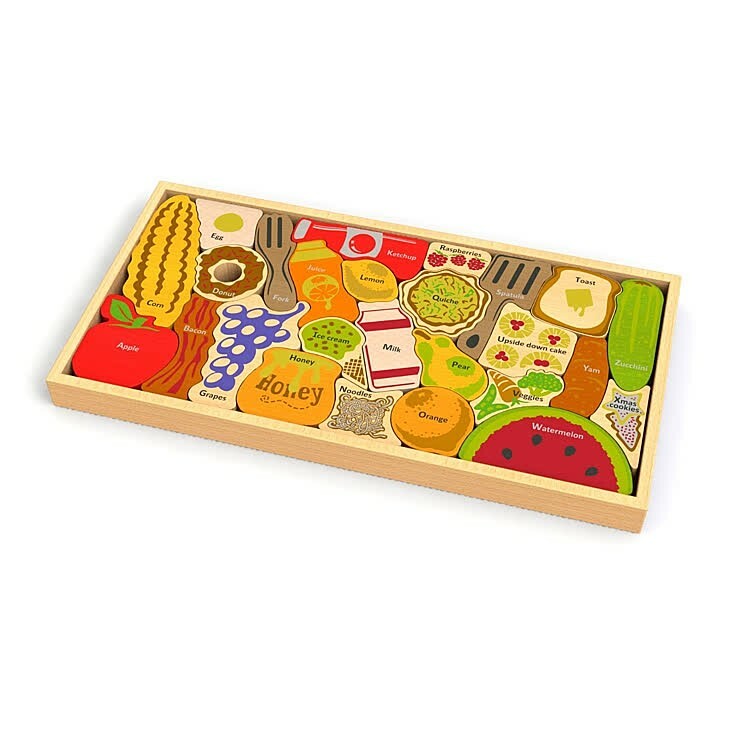 The food theme wooden puzzle features 26 chunky shaped puzzle pieces. 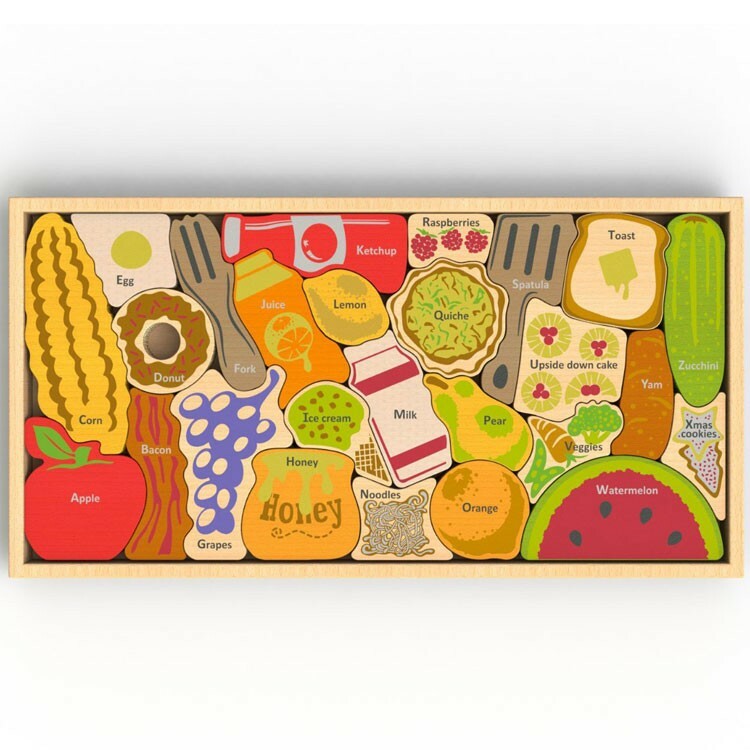 Each puzzle piece is a food, condiment or cooking tool, and each is labeled with its full name. 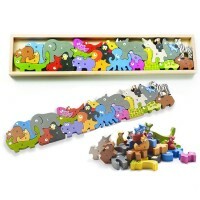 Artistically presented, uniquely designed, well-made from rubberwood with non-toxic child-safe stains, and independently tested for safety. 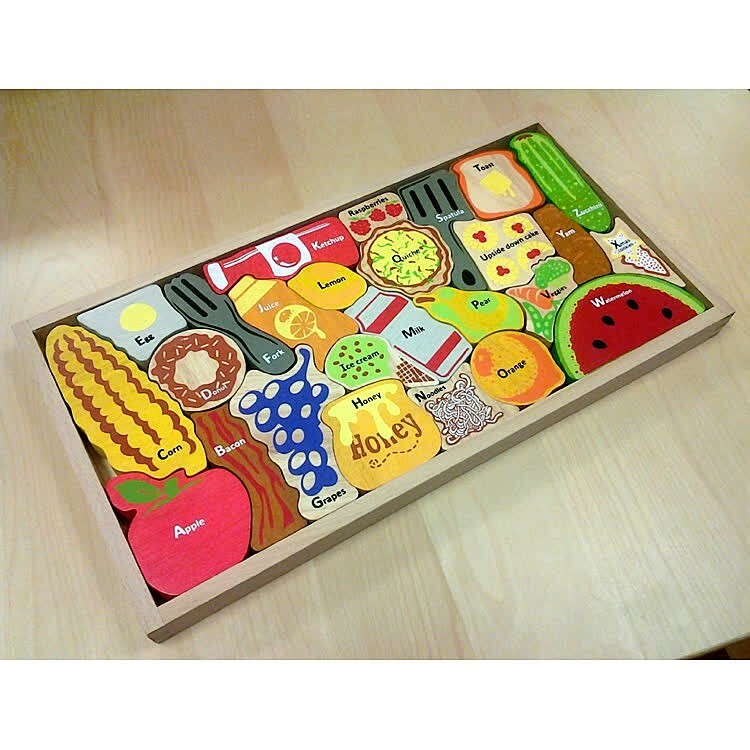 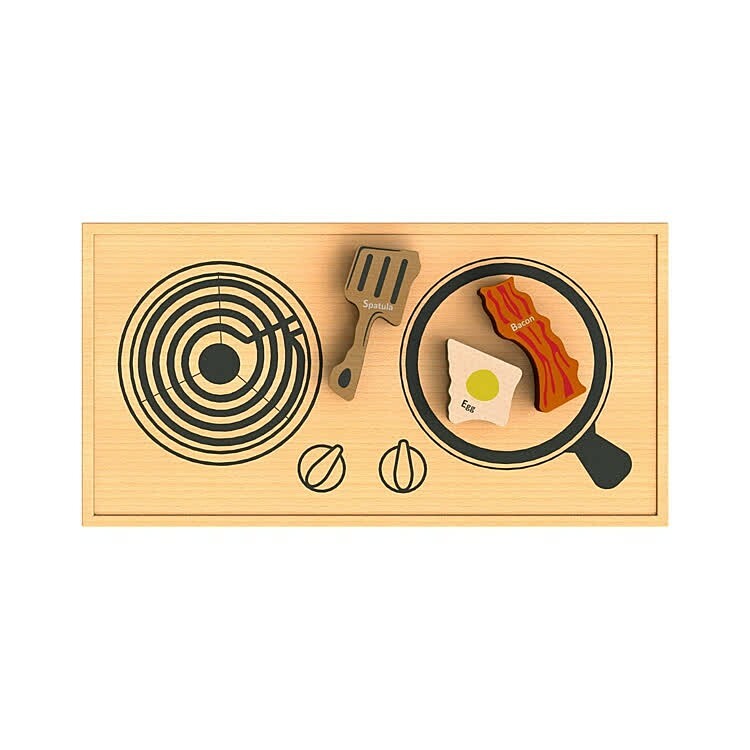 Alphabites A to Z Wooden Puzzle & Food Play Set comes complete with the 16 x 10 inches storage tray that doubles as a kitchen stove top. 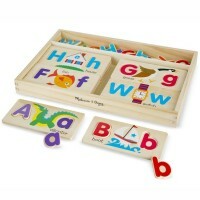 The inside of the puzzle storage box features a serving tray with plates, napkin and cup. 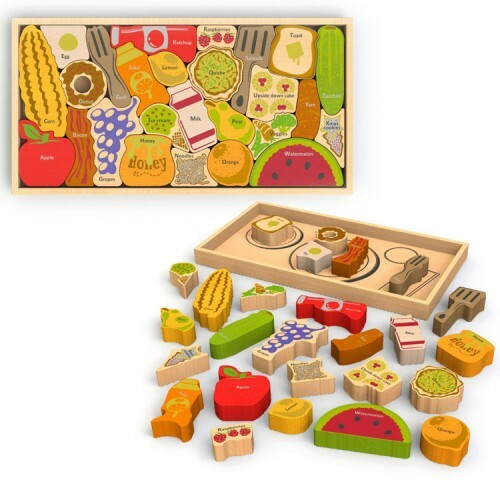 This food playset from Educational Toys Planet allows learning and play on so many different levels, that it's hard to beat! 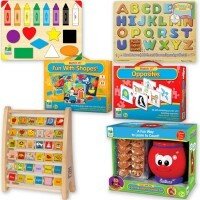 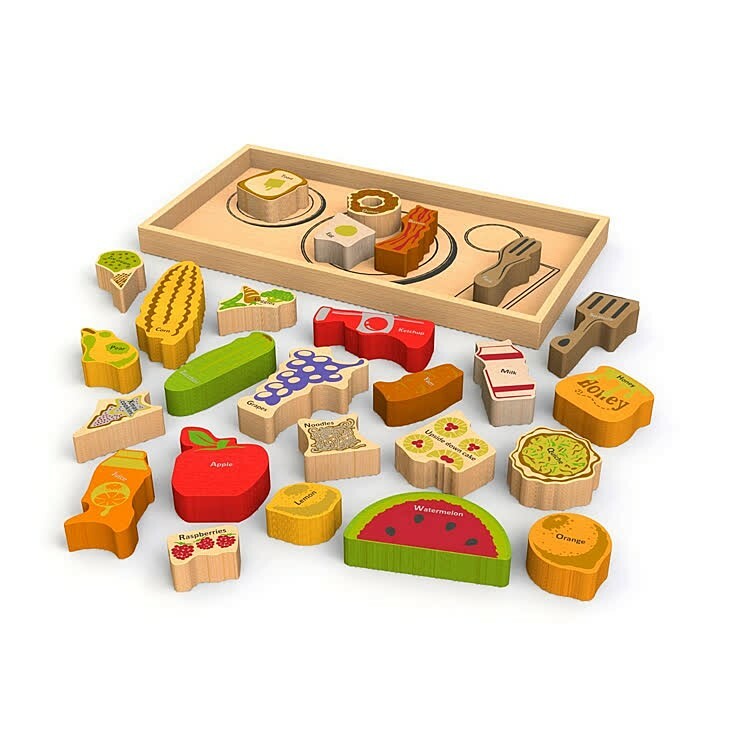 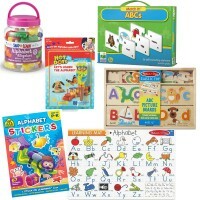 Dimensions of package 8.5" x 16.25" x 1.1"
Write your own review of Alphabites A to Z Wooden Puzzle & Food Play Set.